Welcome to Lake Mille Lacs Guide Service. Lake Mille Lacs Guide Service would like to introduce ourselves to you and share with you our knowledge, philosophy, and experience for providing enjoyable fishing trips and lasting memories for our guests. We target Walleye, Smallmouth Bass, Muskie, and Northern Pike. Lake Mille Lacs has an abundant population of fish including trophy class fish of all species. Located only 2 hours north of the Twin Cities Metro area in Minnesota, Lake Mille Lacs is a quick drive and easy to get to. Whether you come up for a day trip or decide to stay a few days, there are many resorts on the lake that provide exceptional lodging. 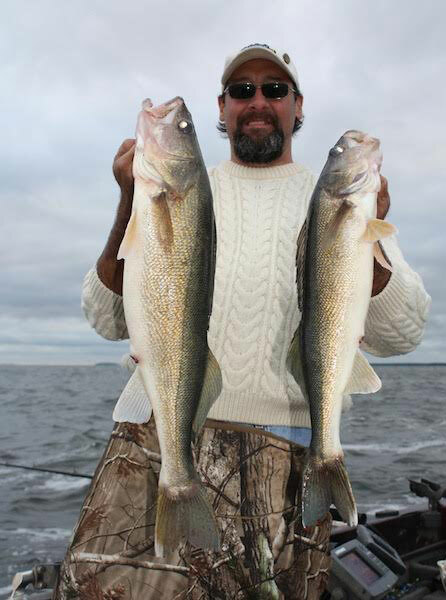 With decades of experience on Mille Lacs Lake, and other Minnesota lakes, we offer a tight circle of guides, including myself, that are proven to be exceptional, trusted, professional, and insured. We all work well together to put our customers on fish each and everyday. Based on your group’s preference, we will target some other lakes in addition to Mille Lacs in Central and Northern Minnesota. Please review our site and feel free to contact us regarding any questions you might have. We look forward to being your guide! It is our highest priority to see that your fishing trip is fun, safe, successful, and memorable. We want to show anglers of all ages and either gender a good time, while they learn multiple presentations to catch more fish. Furthermore, an opportunity at a trophy you will remember forever.